Jaume Plensa, (Barcelona, 1955) is a world-renowned sculptor best known for his constructions in the public space resembling the heads of women that are multiple meters tall. With their eyes closed, they have an almost meditative expression. Plensa's much-acclaimed exhibition at the Basilica di San Giorgio Maggiore during the Venice Biennale of 2015 perfectly encapsulated this characteristic atmosphere of reflection and repentance. 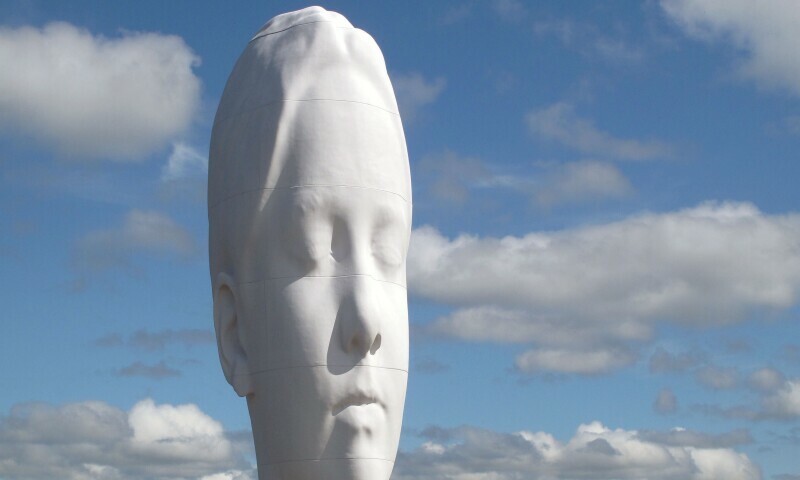 Plensa has completed over thirty major projects in cities such as Chicago, Dubai, Liverpool, London, Nice, Tokyo, Toronto, and Vancouver. Plensa has received many awards, including the Medal de Chevalier des Arts et Lettres and the Velázquez Prize for the Arts in 2013. In 2015, his work Duna was shown as part of the ARTZUID route. In 2017 he received The Ten-Year Award for his 2004 Crown Fountain in Chicago’s Millennium Park. The work, which displays videos of the faces of hundreds of Chicago's inhabitants, remains a highlight of his oeuvre. Also famous is his monumental work, Love, one of eleven fountains created for Leeuwarden - Friesland European Capital of Culture 2018. While his sculptures are frequently on display in public places and museums all over the world, they have rarely been seen in the Netherlands.